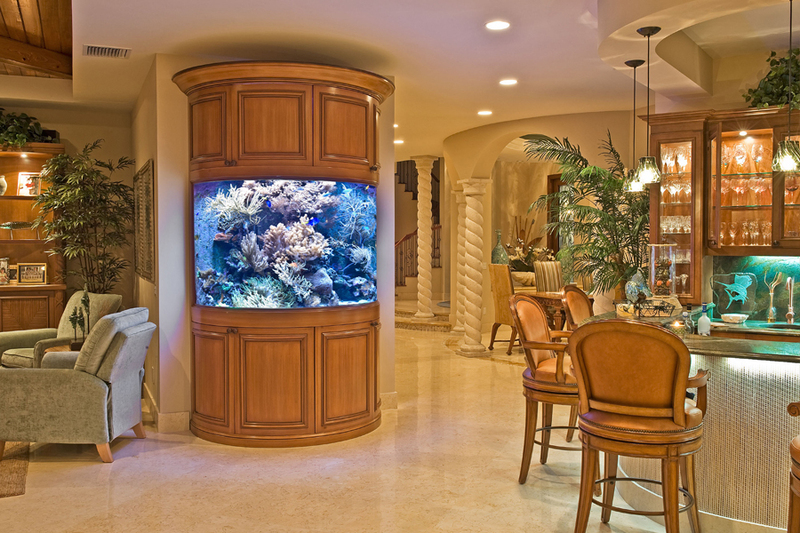 300 Gallon Living Coral Reef - REEF AQUARIA DESIGNREEF AQUARIA DESIGN | Every great room deserves a great aquarium. A 180º laminated glass front panel provides impressive optics while looking into this very unique aquarium. 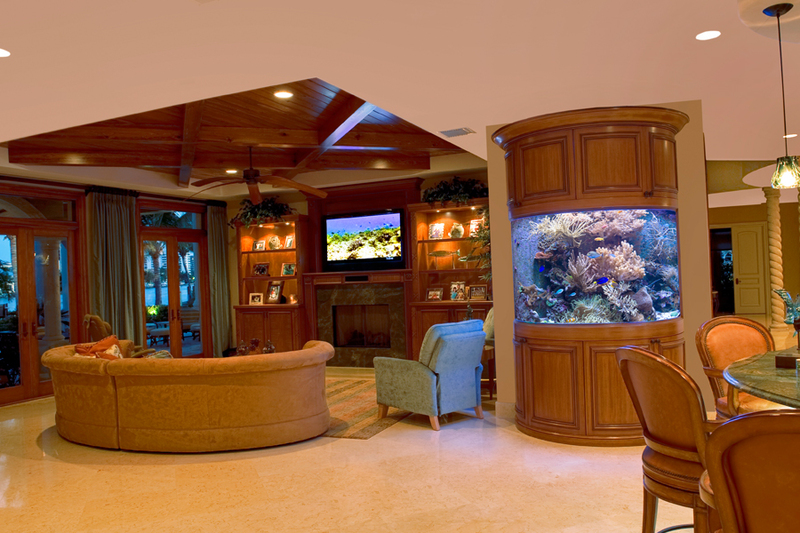 The aquarium was installed to add to the tropical design direction that had been applied to entire home. A one piece CNC cut top brace was installed to maximize access into the aquarium for service personnel. A mixture of responsibly collected local marine life, along with aquacultured species from exotic locations around the world, were sourced to bring an abundance of color, movement, and life to the reef.